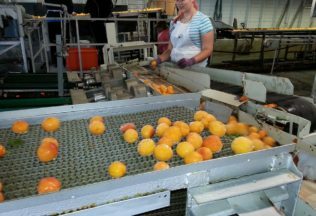 Australia’s food industry contribution to national manufacturing has increased by 30 per cent over the past seven years according to a new Australian Food and Grocery Council (AFCG) report. Food and grocery also accounted for 30 per cent of all of Australia’s manufacturing in 2014-15. “This report underlines the value of the Australian food and grocery sector at a time when other manufacturing is moving offshore and being buffeted by internal and external economic pressures,” said Tanya Barden, AFGC’s Director of Economics. “Employing over 300,000 Australians’ the sector’s Industry Value Add of $29 billion was almost three times higher than the next largest manufacturing subsector – machinery and equipment and fabricated metal,” she said. Andre Metcalfe AO, Australian Federal Government Lead Partner and Agribusiness Lead Partner at Ernst & Young, said analysis conducted by EY has found that Australia’s reputation as a clean and green producer will help drive food manufacturing in Australia. “As traditional manufacturing subsectors such as car manufacturing and transport equipment have experienced decline, this has generated opportunities for food and grocery providers to create new jobs and growth is anticipated to continue,” Metcalfe said. “While domestic conditions remain challenging, food and grocery processing is an area of strong export growth with an 11 per cent surge in food and beverage exports to $26bn last year. These results show a huge potential for future growth,” Barden said.